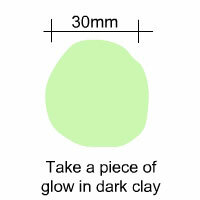 Take a piece of fluorescent clay (about 30mm size) and make mould out of it. 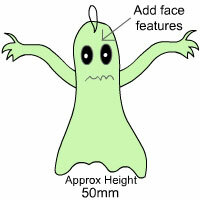 Last but not the least, add some features to the mouth to give it a ghostly impression. 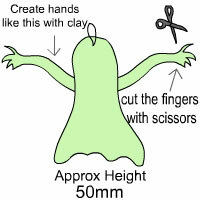 When your ghost is ready you can suspend it anywhere in your room. 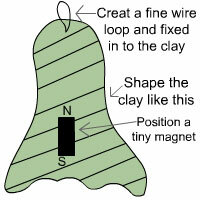 With little help of a regular magnet you can move your ghost in any direction you want. Rest is up to you; use your imagination and scare the hell out of your friends.